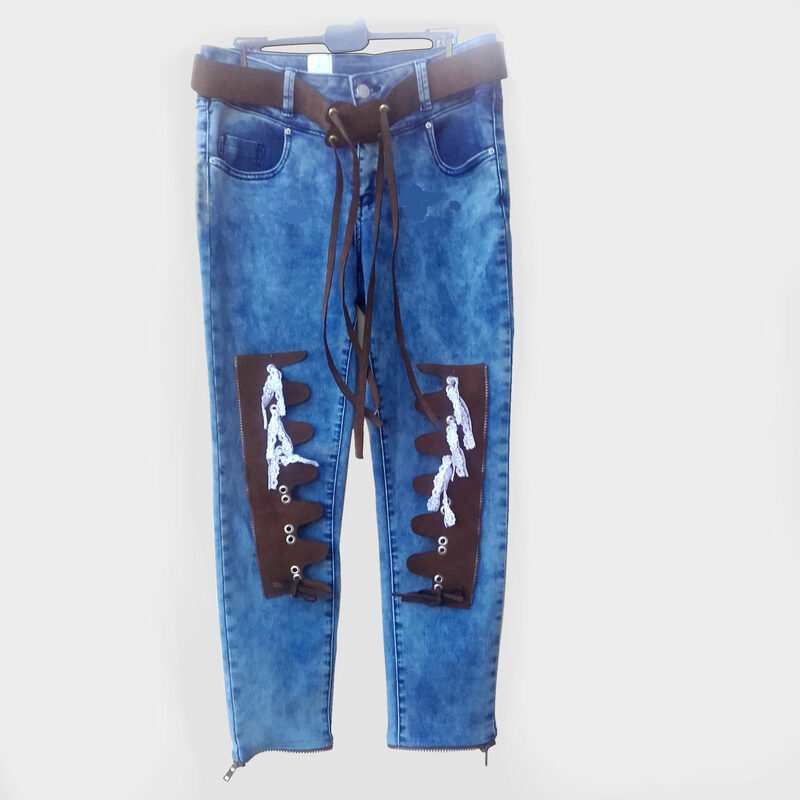 Home / Lys Majesty Collection 2019 / Calamity Jane ( Cameleon ) Jeans.2, Limited Product ! Calamity Jane (Cameleon) jeans, imitation suede petals bottom, suit in any opportunities! SKU: N/A Categories: Jumpsuits Collection 2019, Lys Majesty Collection 2019, Multi-fabrics jeans trousers, The must-have, Trousers, Jeans Collection 2019, Winter Collection Tag: limited product ! 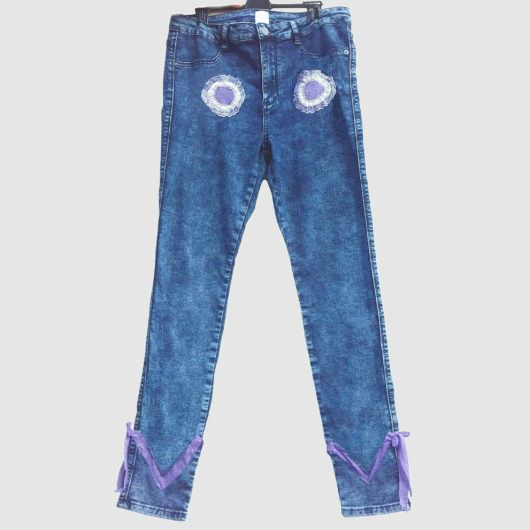 Normal waist jeans trousers with a suede imitation waistband with 4 large suede imitation fringes of very good quality, 2 of which at each end of the waistband, closing in pockets embedded in a 4 petals flower suede imitation, pattern including 2 on each side. At the bottom of the pants, some imitation suede of very good quality ending in petals and just above the eyelets between each petal in which are inserted lace braids several centimeters long and able to form small knots in lace. A detachable zip attaches the imitation suede strip from the bottom of the jeans pants. The Calamity Jane Jeans, can be sold individually or with 2 other different trouser bottoms for three different styles in one pant. See further ‘The Cameleon Jeans’.